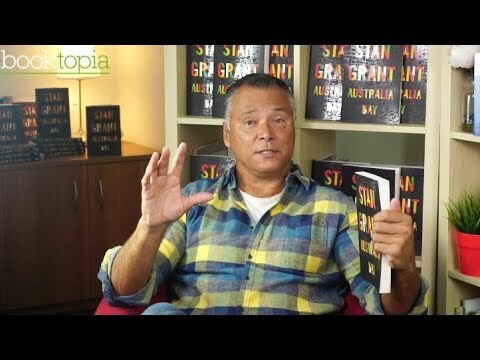 For a limited time only, order a copy of Australia Day and you’ll receive a copy signed by Stan Grant! *Available while stocks last. Stan Grant is a Wiradjuri and Kamilaroi man. A journalist since 1987, he has worked for the ABC, SBS, the Seven Network and Sky News Australia. From 2001 to 2012 he worked for CNN as an anchor and senior correspondent in Asia and the Middle East. As a journalist, he has received a string of prestigious international and Australian awards. In 2015, he published his bestselling book Talking to My Country, which won the Walkley Book Award, and he also won a Walkley Award for his coverage of Indigenous affairs. In 2016 he was appointed to the Referendum Council on Indigenous recognition. Stan is now Professor of Global Affairs at Griffith University and International Affairs Analyst at ABC.